That was the first verse I memorized at Bethany Chapel when I was a child. I wonder how much time has passed since then…Anyway, I was in the same church last night. 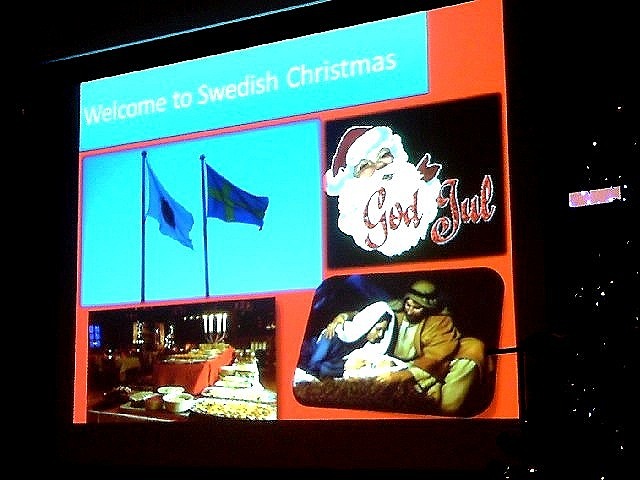 There was an event named Swedish Christmas Night at the chapel. A young Swedish man named Marcus is now staying at the church and introduced about his country, especially in Christmas time, last night. 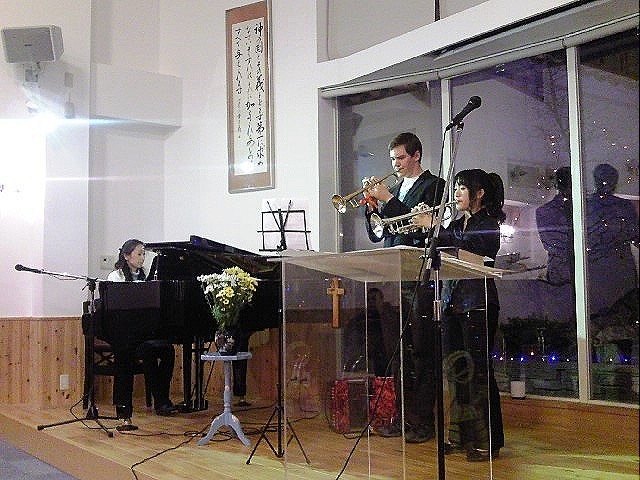 There was a small concert at the chapel in the event. Marcus is a trumpeter of a band in his country. 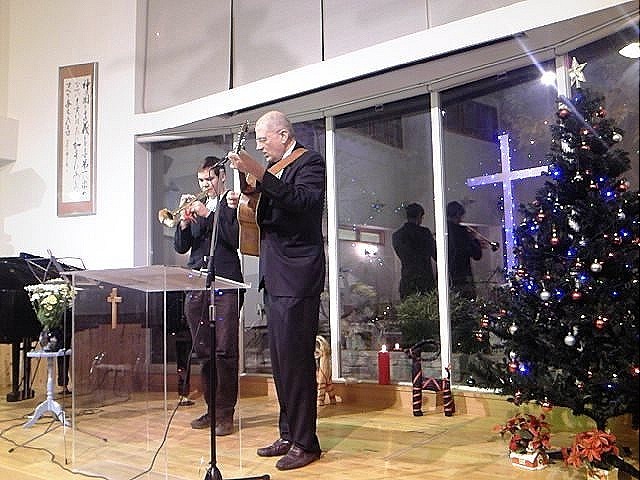 So, mainly Marcus played the trumpet and Mark, the minister of the church, played the guitar, and the participants sang songs together: Angles We Have Heard on High, Hymn to Joy, O Holy Night, What Child is This? and Amazing Grace and so on. That was a fantastic time. 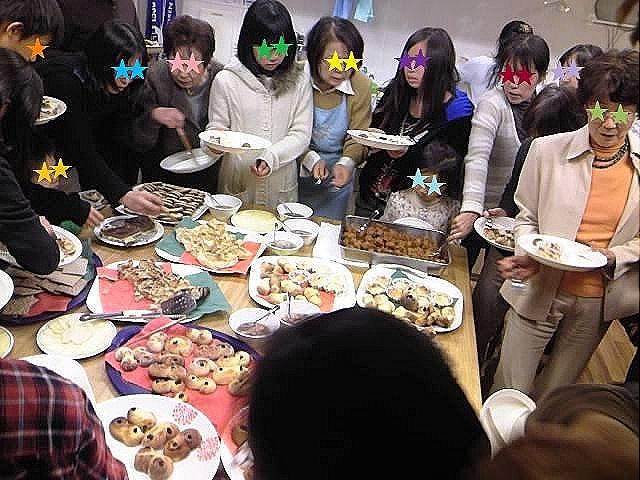 After the concert, the participants enjoyed Swedish food, such as, saffron bread, ginger bread, meatball with fruit jelly, pickled herrings, and etc…All of them were so delicious! I went to the church for the first time when I was 8 or 9 years old. I happened to meet this tall white man in my neighborhood at that time. The man was Rev. Hans Magnuson from Sweden. He established Bethany Chapel nearby about 50 years ago. I don’t remember the matters, but I began going to Sunday school and learning English from him then. As I was growing, however, I lost interest in Christianity and English. I stopped going to church and forgot about Hans in the process. 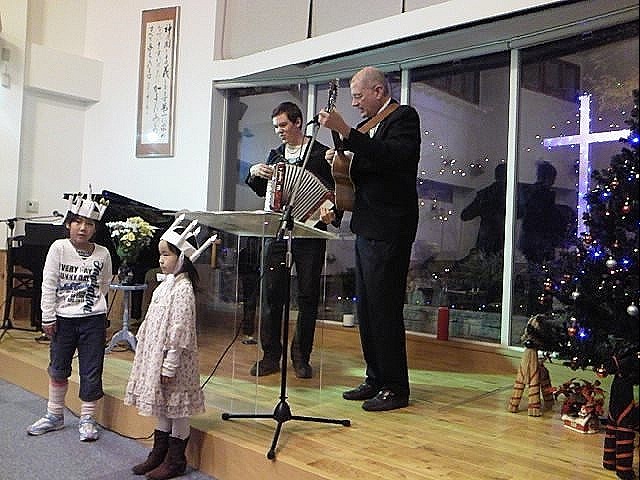 I enjoyed listening to music, singing songs, having wonderful Swedish food, and talking to many people there. I had a really great time! I wish you a merry Christmas! God Jul! 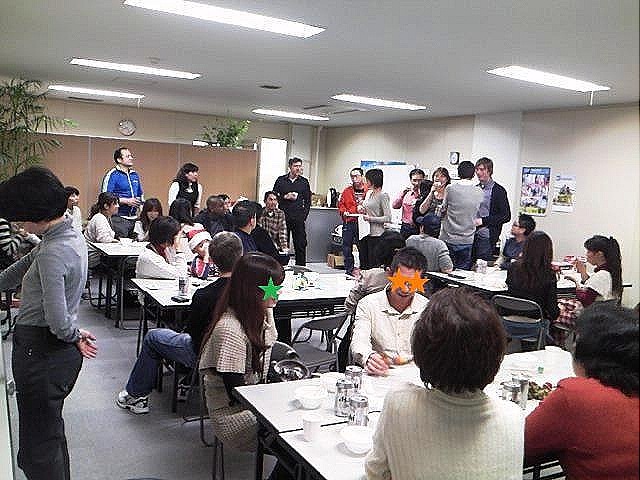 Christmas Party at Talkmate: What do people do under the mistletoe on Christmas? “What do people do under the mistletoe on Christmas?” That was one of the questions at a Christmas event of Talkmate held on the 11th. Talkmate is a language school in Nagoya. Actually, I’m not a student and have never taken any classes there. But I was in the party because a friend of mine is now taking a course at the school and she invited me to the Christmas event. Mr. Kozukuri, the head master of the language school, is very nice and kind. He allowed me to join in the party. He is not the only person who is nice and kind there. In fact, all of the teachers and the students I met at the party were really good. I enjoyed chattering with many people over delicious food. 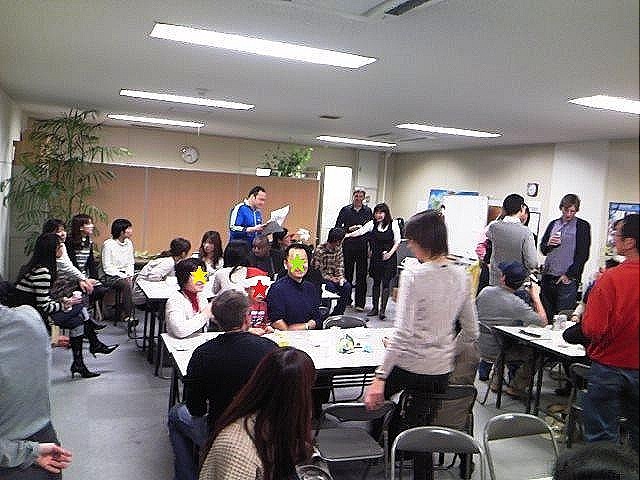 Actually, Mr. Kozukuri was cooking food and serving participants! Remember? He’s the head master! By the way, the answer to the question of the opening is, of course, kissing. So, I raised my hand and said, “Kiss!” to the questioner at the party, and I got a prize. Ummm…probably it’s a kind of prize. The man is carrying a (maybe) goat on his shoulder. I’m wondering if the animal is dead or alive…. Well…am I lucky for getting it as the prize? 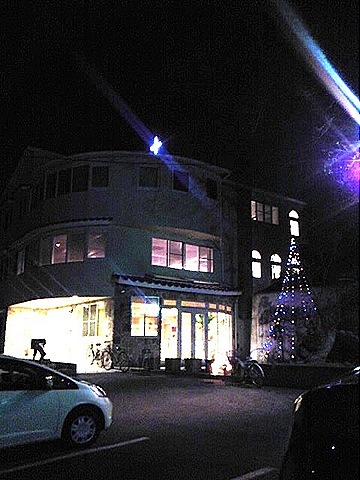 Maybe…Anyway, I had a good time with many cheerful people in the cozy atmosphere.